Over the past few months, we've have a great time being part of the #PlayPatrol team for BigJigs. 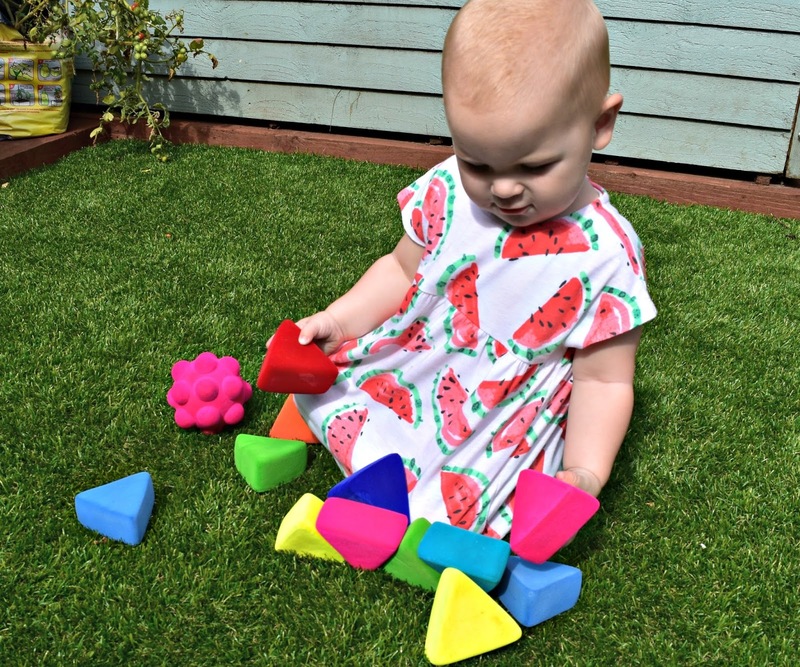 We've received lots of fun and lovely toys in which have been perfect for both children. This month is our final month, and for our last mission we were sent some Rubbabu items and a magnifying glass too. 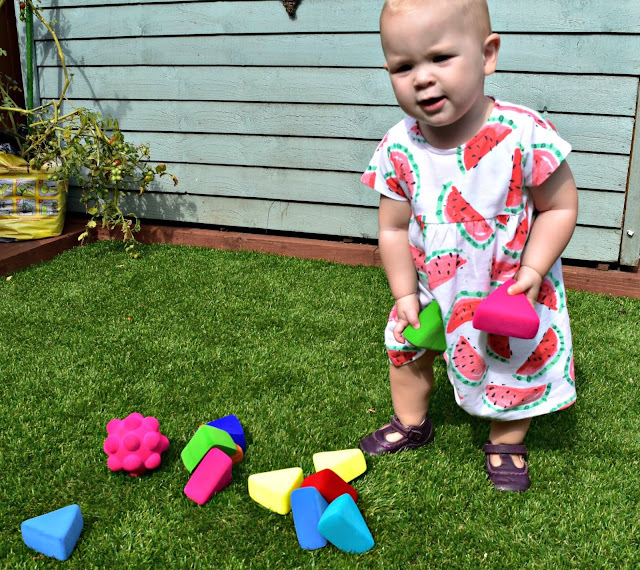 The Rubbabu range has a wide selection of toys for all ages, they are really soft and squishymade from a foam rubber. I've never felt anything like them before, but due to the material they are great for hands of many ages and very easy to handle. They also come in a range of bright colours which of course children find appealing. 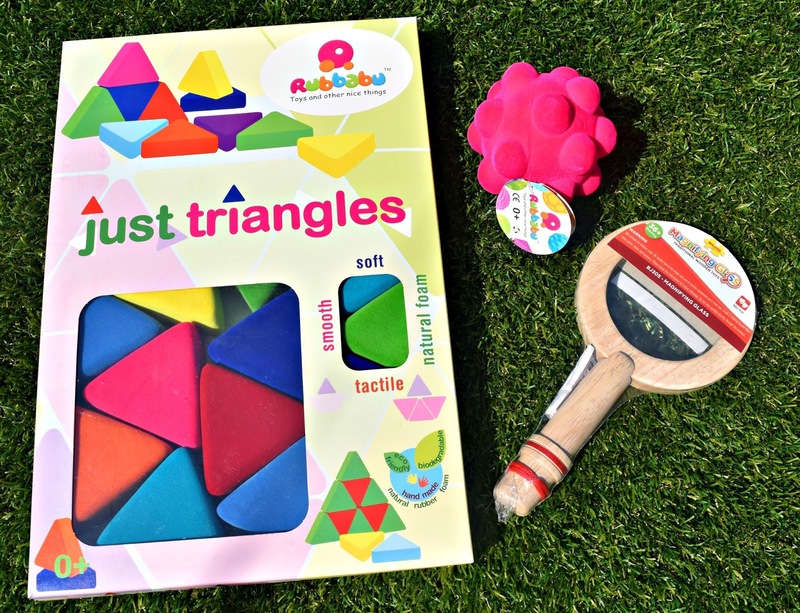 We were sent the Rubbablox Just Triangles and the Bumpy Ball in pink. 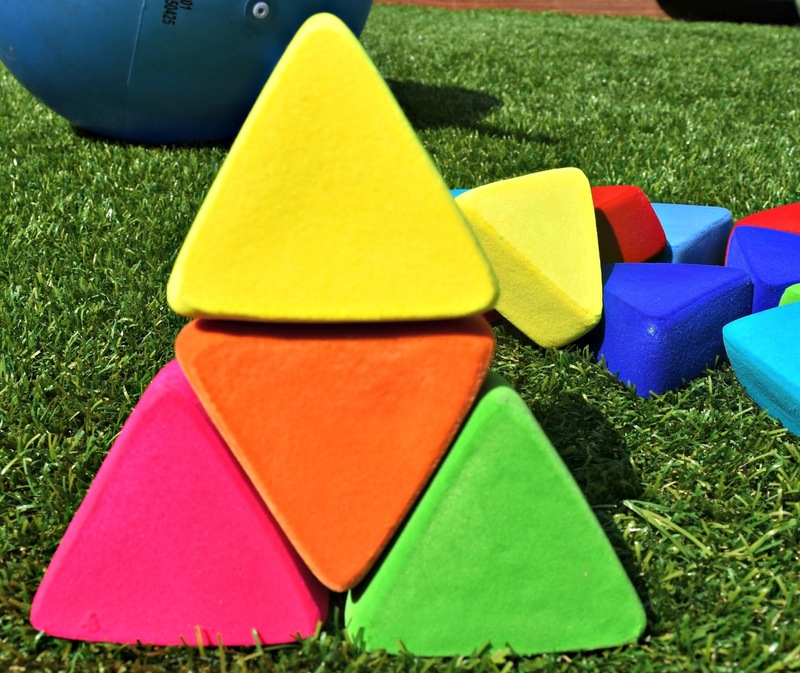 The Just Triangles was a big hit with both the children. As you can expect from the name its just a box of triangles in which you can do whatever you wish. 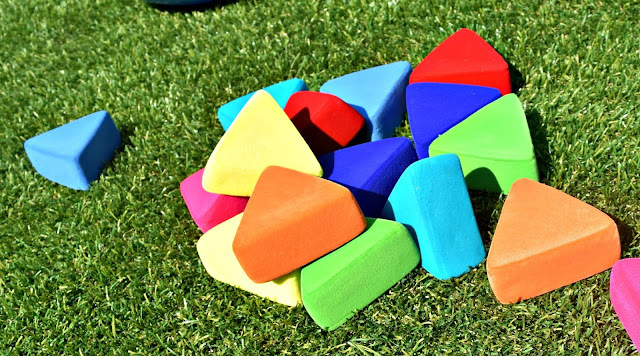 They are a perfect size for even the smallest of hands to grasp and build with. Isla has had great fun lining them up, whilst Jack enjoyed building a big tower. Due to the material they stick quite well, meaning a tower is easiest enough for the little ones to form too. As for the Bumpy Ball, this seems to have been enjoyed by all, adults included. Rolling it around and playing catch has been a big hit. 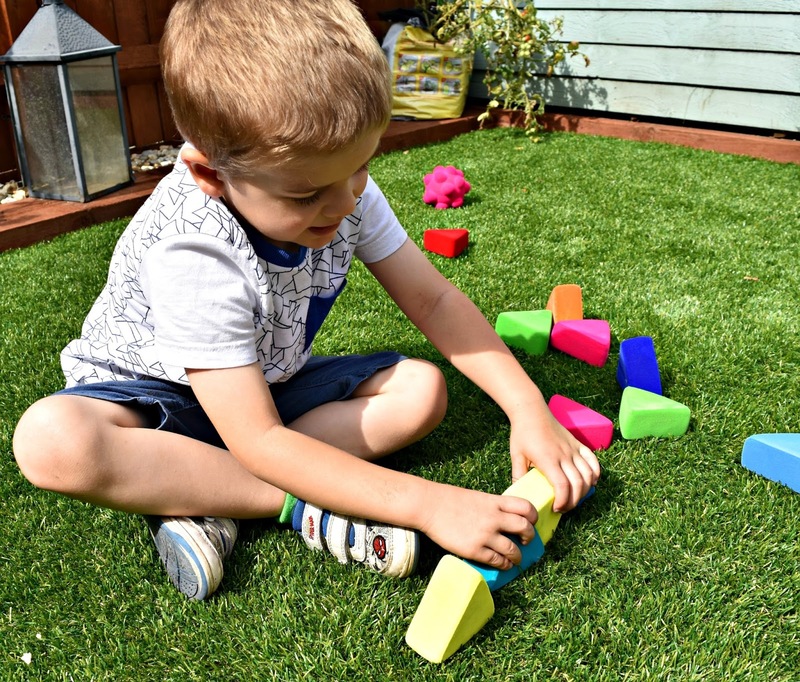 Again because of the size and material its easy enough for the younger ones to use too. The different textures help them too explore. I feel the material and quality of the toys, along with the bright colours means the toys are perfect for children of all ages. I also feel they would be able to stand the test of time, and last quite well. Finally, inside our package we were sent a Wooden Magnifying Glass and the aim was to take part in the Summer Nature Bug Hunt. The magnifying glass was good quality and Jack had lots of fun looking around the garden for bugs and all interesting things as well as taking it out with him to the park to have a look around. When the magnifying glass arrived, I expected it to be 'pretend' and not actually work, but its a proper magnifying glass and actually works. It's well made and seems very durable, with two strengths of lenses within its perfect for looking at different objects. This past 6 months, we have really enjoyed our time as Play Patrol agents, and working alongside BigJigs. Please Note: We were sent the above products as part of our Play Patrol roles and all views and opinons are our own and not influenced in any way.